Over the years, your fence takes a beating. Between the sun, wind, rain, and snow, your wooden fence may begin to deteriorate. And even with regular maintenance, your fence may sustain damage. Luckily, wooden fence are easily repaired. 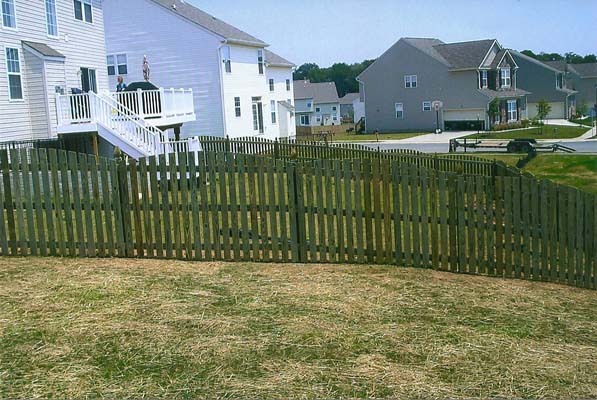 Even if damage look minimal, it is important to address your damaged fence as soon as possible. Don’t let little problems become major issues. Remember the old adage, “A stitch in time saves nine?” Well the same goes for your wooden fence. A little work now can save you a lot of work and a lot of money in the future. Inspection: Carefully inspect your fence at least once a year (and after big storms) for damage. When you find a problem, correct it before the problem worsens. Use the Right Wood: When repairing your fence, the right wood makes all the difference. Your best options are pressure-treated lumber, cedar, or redwood. These woods will stand the test of time. Apply Paints or Stains: Painting or staining your fence annually is a great way to protect the wood from moisture. Tired of all the Fence Maintenance and Repairs? Call Freedom Fence & Home and ask about our Vinyl Fences! At Freedom Fence and Home, we provide a high quality vinyl fences with aluminum reinforcements in the bottom rail to prevent your fence from sagging over time. Initially, the cost of vinyl or PVC fencing is greater than that of wood fencing, but you’ll save money in the long term and will have minimal maintenance. This entry was posted on Thursday, December 13th, 2012	at 10:01 pm	. Both comments and pings are currently closed.